Spoilers ahead for the season-six finale of Game of Thrones. It sounded hokey when Jojen Reed told Bran Stark, “The raven is you,” but it turns out he was right, sort of. With the Three-Eyed Raven dead, Bran is now the one who can open up space and time, commune with nature, and view the past, present, and future. 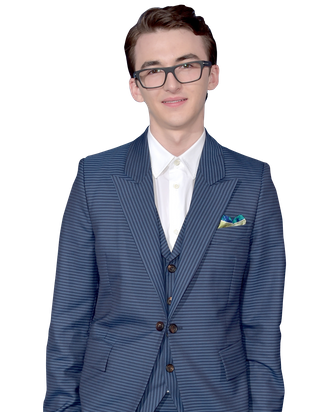 He may not have full control of all his powers yet, but it’s got to be leading to something, according to actor Isaac Hempstead Wright, who plays Bran. “Clearly, Bran wouldn’t have been taught all that he’d been taught by the Three-Eyed Raven if it didn’t serve some kind of greater purpose,” he said. So far, his gifts have allowed us to get the answers to questions we didn’t even know we needed to ask – and they may help save Westeros in the war to come. Fresh from watching the finale with his mother, Hempstead Wright chatted with Vulture about Bran’s visions, being marked by the Night’s King, and what a Stark family reunion might look like. Did you notice the symmetry of how Tommen fell out of a window, because of Cersei, with how Bran fell out of a window, because of Jaime? Yeah! That’s an interesting idea, actually. I suppose one could read that as the legacy of the Lannisters – the chaos they leave in their wake. No one is really unaffected by anything in Game of Thrones, whether it’s in their own House or a House they’re trying to get rid of. One of the messages Game of Thrones has is the almost yin and yang – for every reaction, there’s an opposition reaction. Things are getting cancelled out. So if someone was wronged in the past, they’re now doing wrong against the person who wronged them. For every kind of justice done, there are a thousand injustices. For me, what season six encapsulates is this whole idea of things beginning to tie up and come full circle, where things are starting to intertwine and pave the way for something epic. Balance is being restored. Speaking of injustices, Kristian Nairn said that people shouldn’t blame Bran for Hodor. Well, he’s just a typical teenager, really! He’s bored and in a cave, and he’s got this like free Xbox, “Let’s go on that a bit.” And then he accidentally kills all his friends and is being stuck being chased by ice zombies. But Bran didn’t do that intentionally, at all. You could say it was naivety on his part. But you could also say it was the kind of reading of the future that the Three-Eyed Raven does, and he hurried along Bran’s training, because he knew that things were starting to escalate with the White Walkers and Daenerys and so forth. He knew Bran had to get out and get ready and get on his feet. Shouldn’t the Three-Eyed Raven have made the lessons a little more clear for Bran? Where’s the user’s manual for all this? Where are the instructions? “Avoid the White Walkers.” Oh, well! Better luck next time. [Laughs.] The Three-Eyed Raven pretty much put him out in the middle of the sea, on his own, in not such a great situation. And the terrible thing is, he has to continue with his training. He knows he’s got to get to the point where he can see certain things, and who knows what it will be? So Bran’s got to take these gambles, these risks, and he’s just got to be careful. It’s clearly dangerous when he touches a tree and goes into one of these visions, yet he’s still doing it to hone his skills, so he can do whatever he’s destined to do. It’s almost like he was in second grade at school, and he’s suddenly been accelerated up to college, and he’s got to live on his own and fend for himself. So Bran’s in a bit of a pickle. What do you wish had been in his Weirwood Net lesson plans? What was it like shooting that Night’s King scene with the Army of the Dead, when Bran gets marked? We shot that in a miserable quarry in Northern Ireland, with nonstop rain and thunder and wind and general gloom and doom. We were shooting it in the mud, with like a hundred extras? Which is a fair amount. And they’re all done up in the most superb makeup: Their faces are falling apart, and their eyes are set back in their heads, so they have this terrible, evil look about them. And then I got to actually walk through them! It wasn’t visual effects where I was just walking past two lines of people. There was a big battalion of zombies that I had to walk through, and then run into Vlad [Furdik], who is our Night’s King. He’s really cool, really lovely, really funny, but his prosthetics are ridiculous. I think they take like eight hours of makeup? He’s wearing these contact lenses that have these yellow, point-y rings in them, so they’re just horrifying. And he’s dressed up in this absolutely terrifying costume with these icicles coming off his head. He grabs me, and I do the scream, and he’d grab me harder and harder! It was quite an intense evening. But I remember reading the scene, the one where the Night’s King taps the baby in season four and turns him into a White Walker, and thinking, “Whoa, this Night’s King guy is really cool. I never thought we’d see a king of the White Walkers!” And then actually getting to be in a scene with him? I absolutely loved it. This is just speculation, but some people are worried that Bran being marked might spell trouble down the line – that if the Night’s King’s mark can void the spells at the cave, it could also void the spells at the Wall. That’s what I’ve been thinking! If Bran goes through the Wall, then can the White Walkers come through? That might be a difficult decision to make. That could be the end of Bran. Or maybe it just means that Bran needs to get through the Wall very quickly. Run! It’s going to be tough, whatever happens. When this great war comes, I don’t think either side is going to have any advantages. It’s just going to be total and massive carnage and destruction. Worrying times. The White Walkers trying to get past the Wall kind of parallels Daenerys’ struggles – building up an army and waiting and carefully planning out their White Walker shenanigans. I think next season, the stuff with the White Walkers is really going to kick off. What did you think about the Tower of Joy vision? It was great! It was clever how it was in one episode, where you think, “Oh no! We won’t see more until the next season!” and then right at the end, they throw us this massive curveball, revealing this huge piece of information, which could totally alter the history of Westeros. Bran’s visions didn’t include the present-day actions of his siblings. What do you think he’d think if he saw what they were up to?